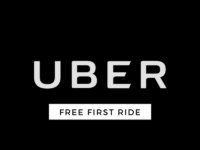 Thanks to Uber, gone are the days when you would have to make sure you have cash, stand in line at taxi rank offices or pay expensive black cab prices when booking a taxi. And whilst they may have their faults, Uber’s reliability, ease of use and security can’t really be disputed. In fact, they are now so popular that they operate in over 400 different cities in 65 countries across the world. In the UK alone, they gain 30,000 new users a week and if you aren’t already one of that number, you could cash in on fifteen pounds worth of free credit when you sign up using our unique code. That’s probably equal to a trip from central London to zone two or three if you think about it. And it couldn’t be simpler to sign up. All you need is a phone with internet access and to sign up using this form, with your details and the card you will pay for your journeys with. At the bottom of the page, it will ask for a promo code, in which you type “BROKEINLONDON” and it’s as simple as that! You’ll be able to enjoy £15 worth of free credit on your first journey, wherever you are in the UK. 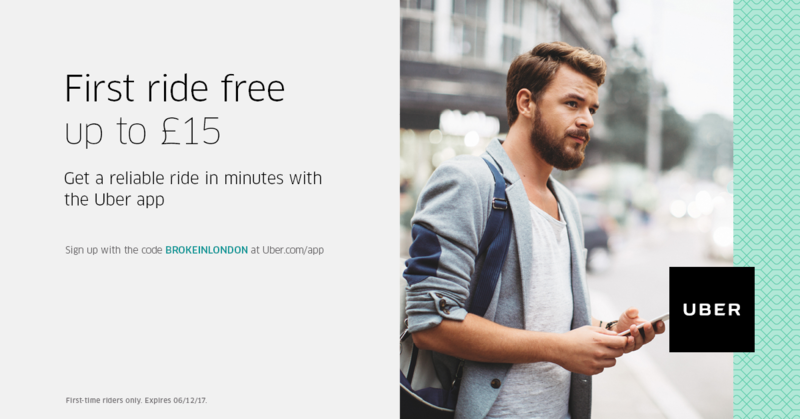 What: £15 worth of free credit when you sign up to Uber.